Right? So far this offseason the Padres have plucked a lot of guys who either played with the Angels last year or were in their minor league system. Cowgill, Rafael Ortega, Nick Buss, Jholys Chacin, Stephen McGee. & Barry Enright/ Erick Aybar aren’t too far removed from being former Angels either. Yeah I think he pitched in the Mexican professional league last year, his numbers were okay enough for Preller to take a flier on him. Yeah, he turned down their initial offer which was more than the 1.75MM that Chacin, Richard & Cahill all got so I don’t know what he is thinking. No team will sign him for over 2 million to pitch for them this year especially coming off the year he did last year. 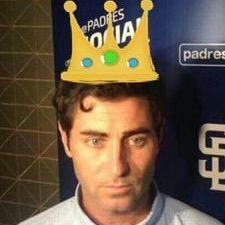 He should have taken the Padres offer, rebuild his value & hopefully get dealt to a contender for the stretch run. Petco made sense for him, pitchers park close to his previous team & his family. Idk seemed like a good fit to me. How nice for Angels fans. 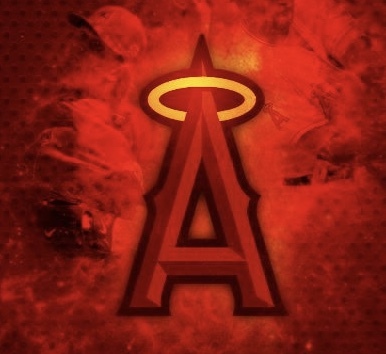 Watch a day game at the big A and then travel south for 45 minutes and see an Angels alumni game in S.D. From an interview he did with the Angels before the season ended he pretty much said he wants to pitch for the angels or a contender. every time i hear cowgills name, I think of that time when he got hit in the face and his face started gushing blood….. Sorry cowgill but that was pretty much your most memoriable moment with the halos. You don’t remember the 14th inning walk off HR against the A’s? Time for more cowbell! Sorry couldn’t resist. Cowgill is nothing more then Triple A depth at this point. Collin Cowgill is one of the few guys who throws left and bats (exclusively) righthanded in MLB. It’s such an odd combination. Since I do the same – throw left, bat right – he’s always stood out. Rickey Henderson is by far the most famous with that combination. Looks like the Blue Jays signed Jose Tabata to a minor league deal. Just more triple A depth. Why are the Padres trying to get all of the ex Angels? How about you take on the contract of Houston Street and you can also have him yeah?? ?